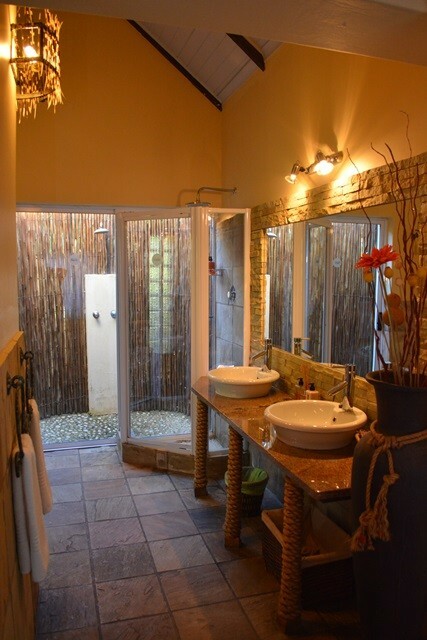 Elegantly decorated and equipped with air-conditioning/heating option. 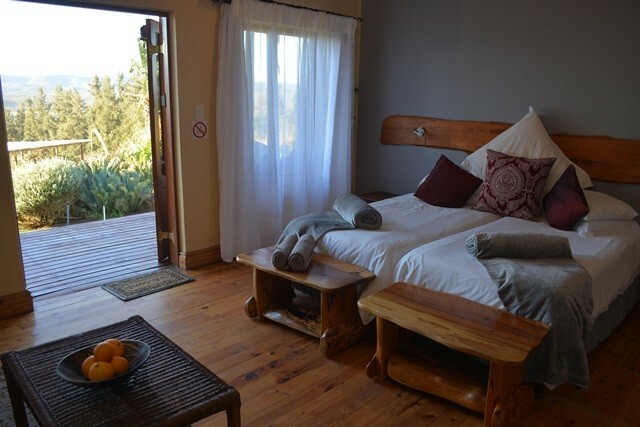 Bedside tables and headboards are made from a combination of local wood species found in the area. 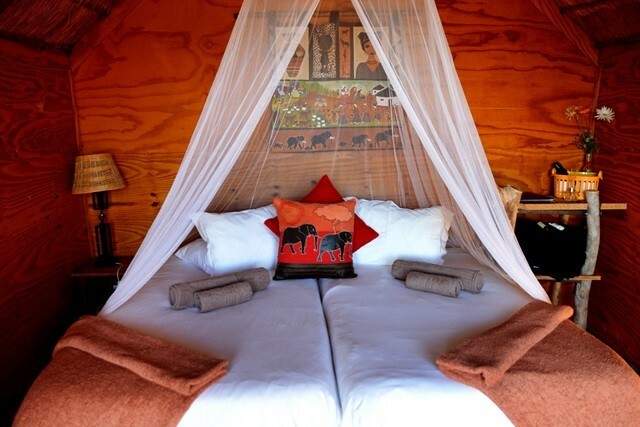 The Sneeze Wood chandeliers found throughout the chalets and in the Lapa are made out of old fence posts that were in use a few years ago and are termite-proof! 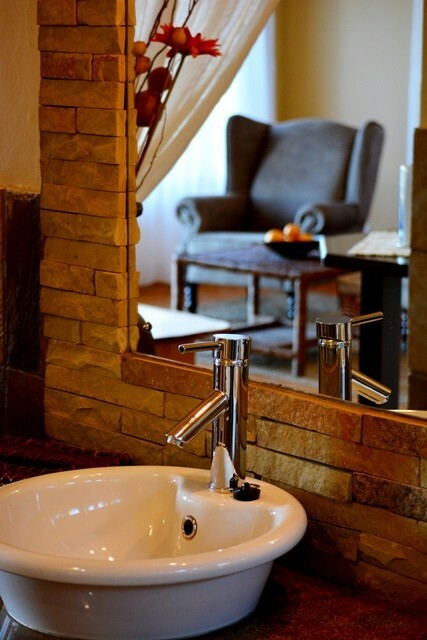 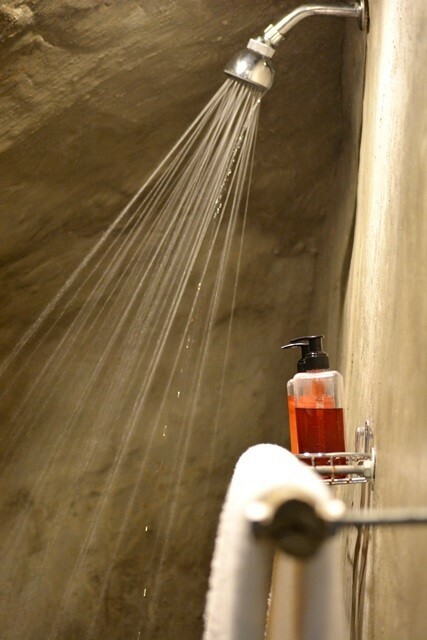 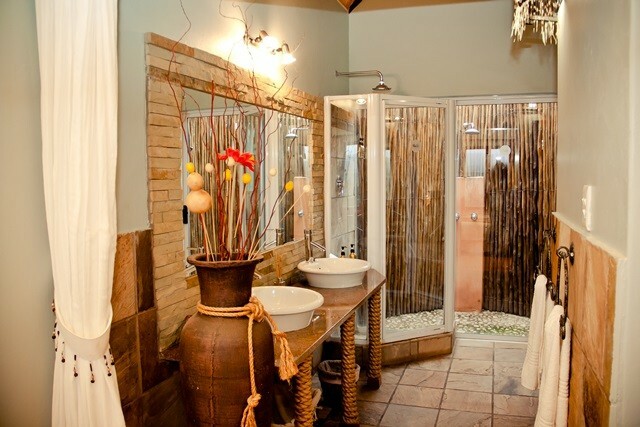 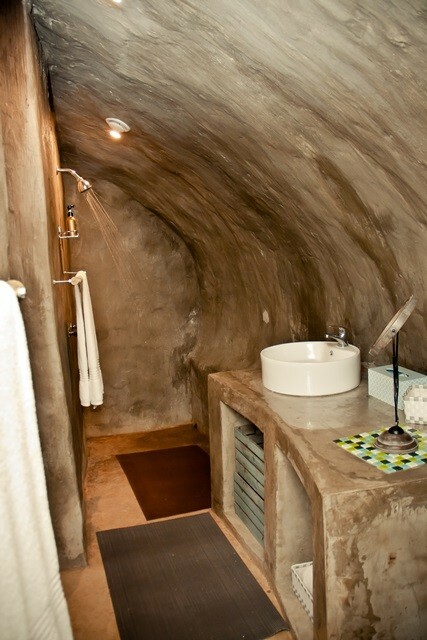 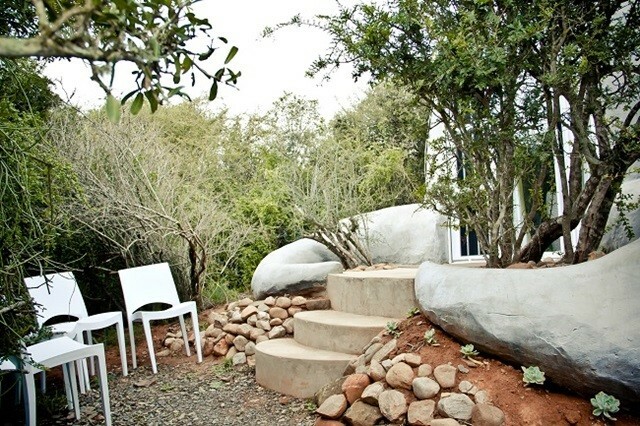 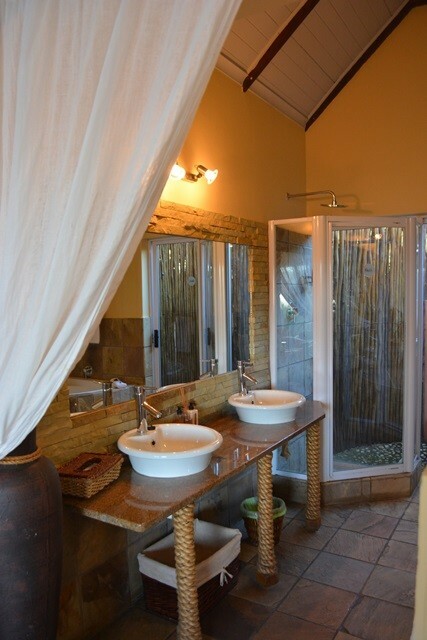 Bathrooms are en-suite and have both indoor and outdoor showers. 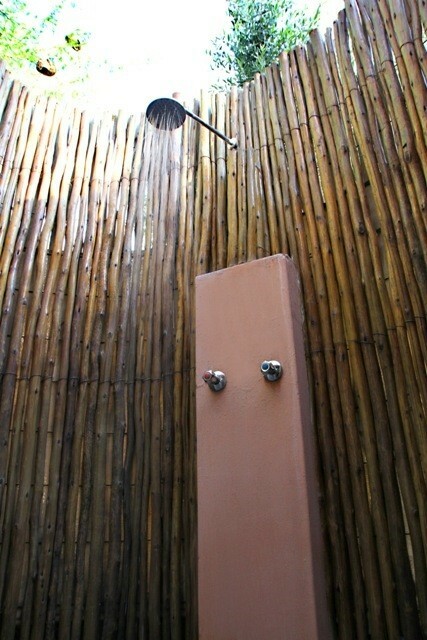 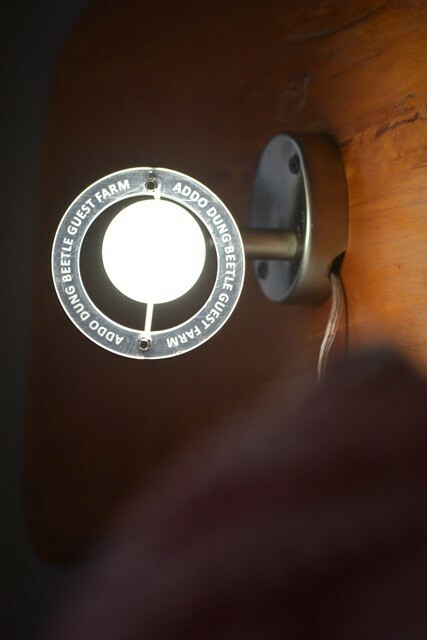 There are also porcupine quill lamp shades found in the bathrooms and the lapa which were handmade by the owner. 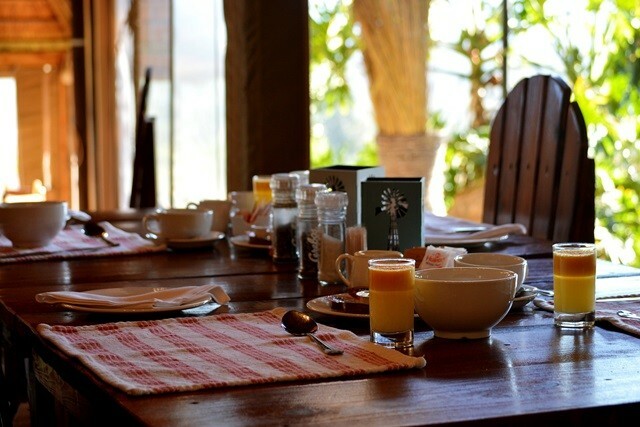 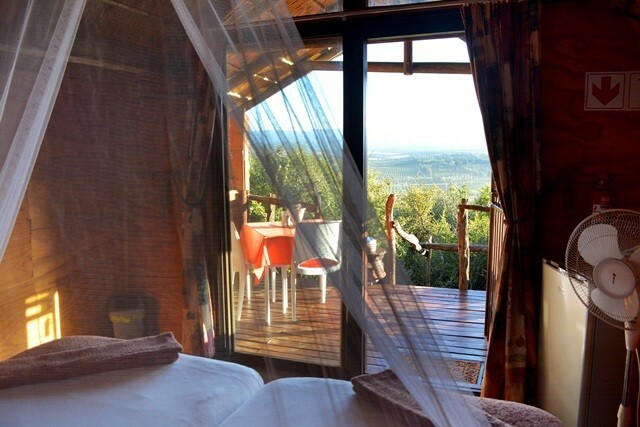 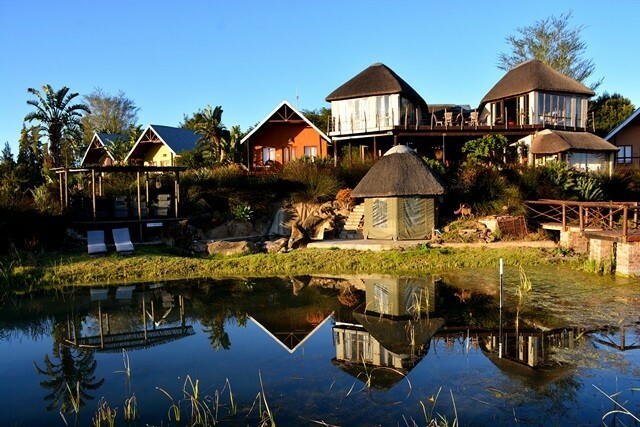 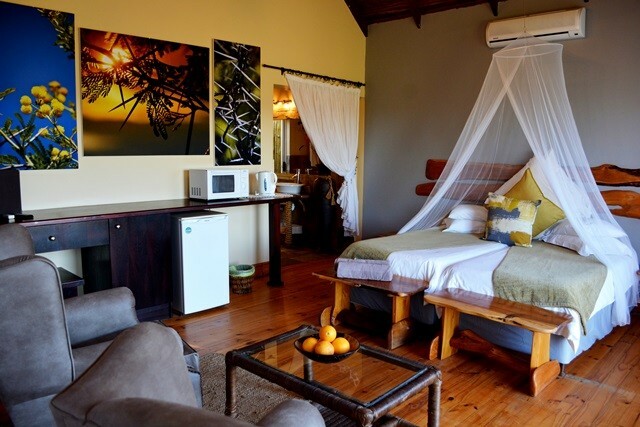 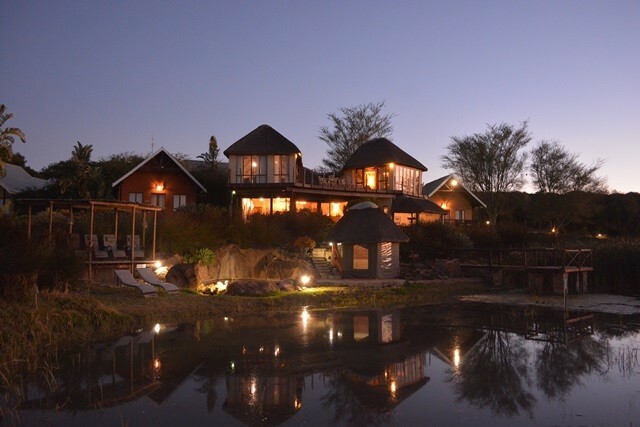 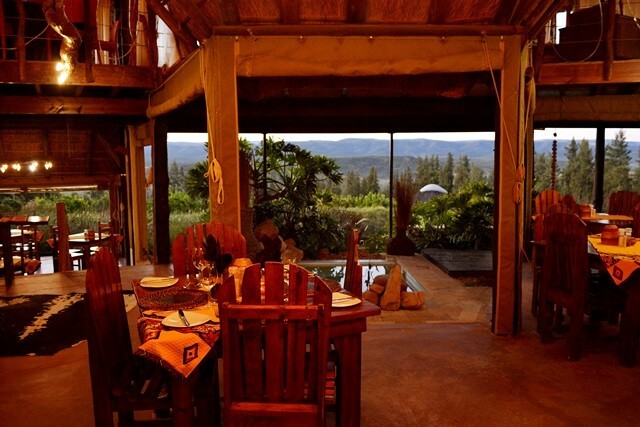 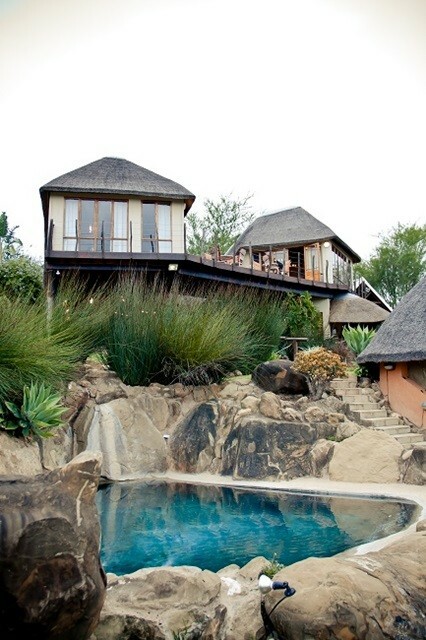 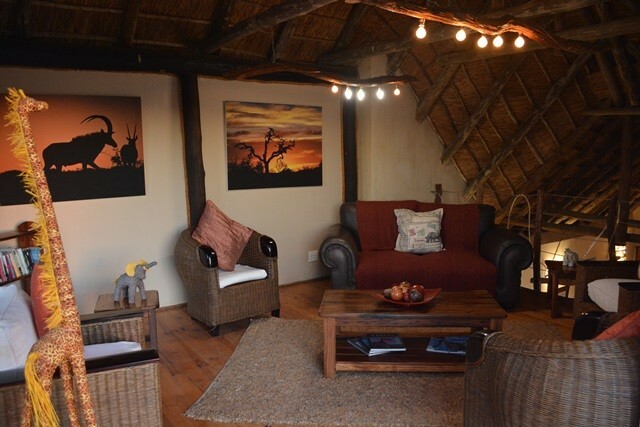 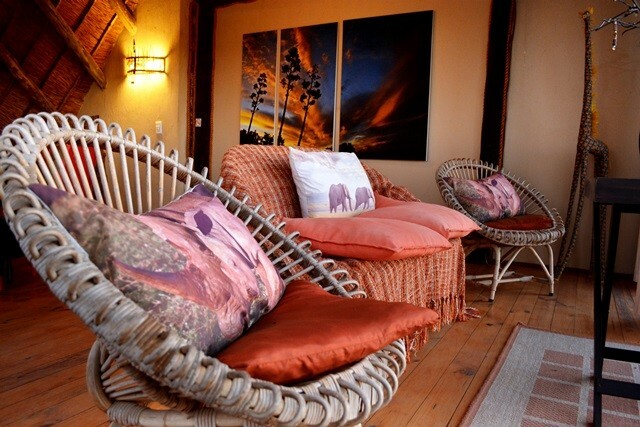 Experience the rustic beauty and adventure of the bushveld with our Bush Cabins situated in our 240ha safari estate. 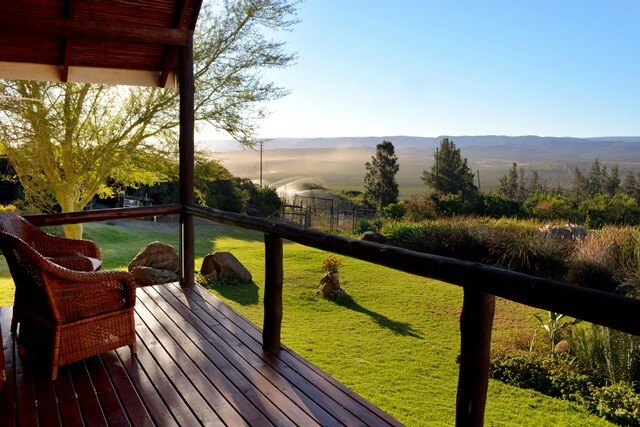 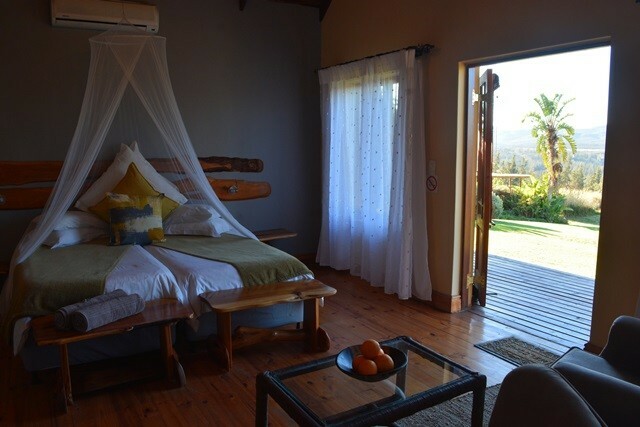 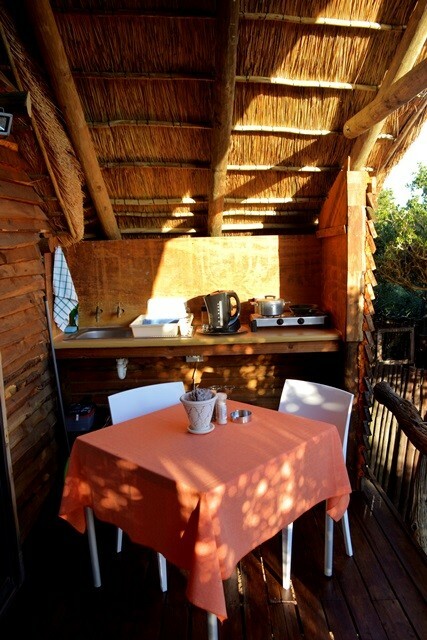 The private wooden cabins invite you into the heart of nature and feature a magnificent mountain view which you can enjoy while preparing your meals from the open deck kitchen or braai area. 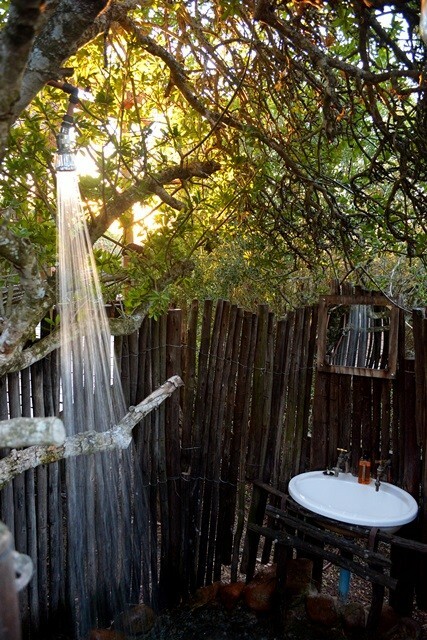 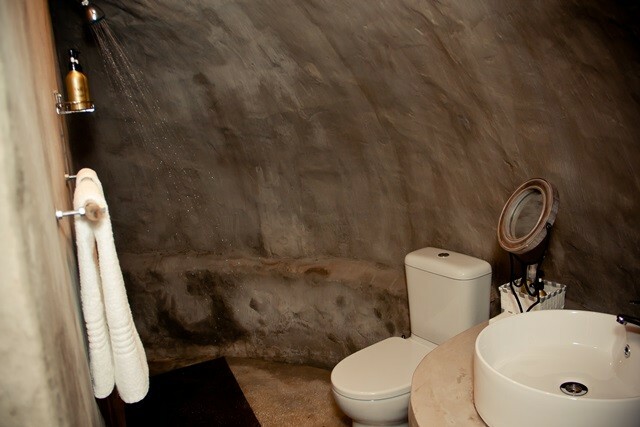 In true bushveld spirit, there is an open air shower and flushable toilet adjacent to the cabins. 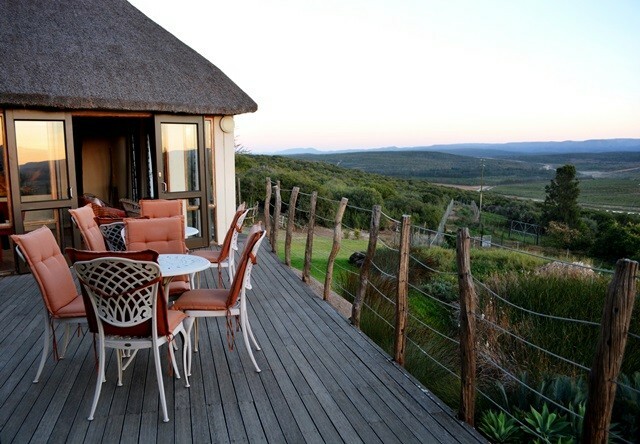 The bush cabins are self catering and guests may make use of the other Addo Dung Beetle facilities such as the swimming pool and more. 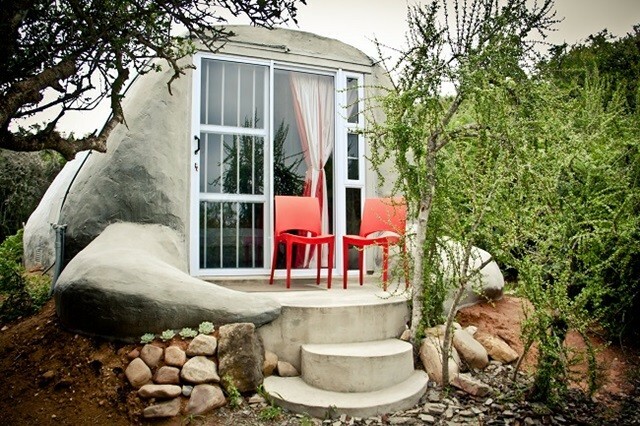 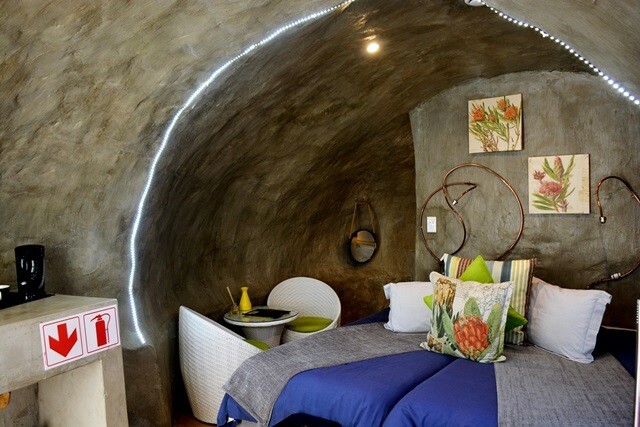 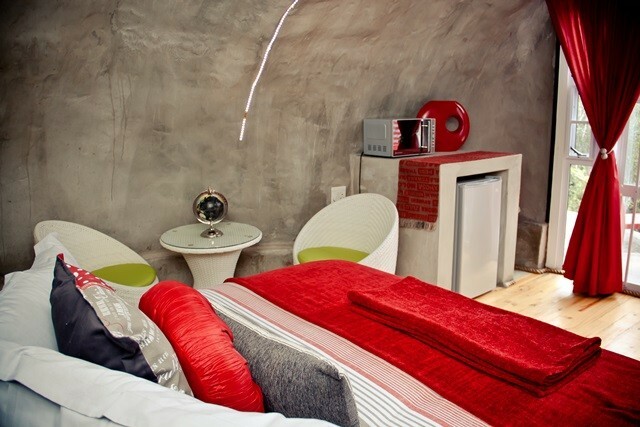 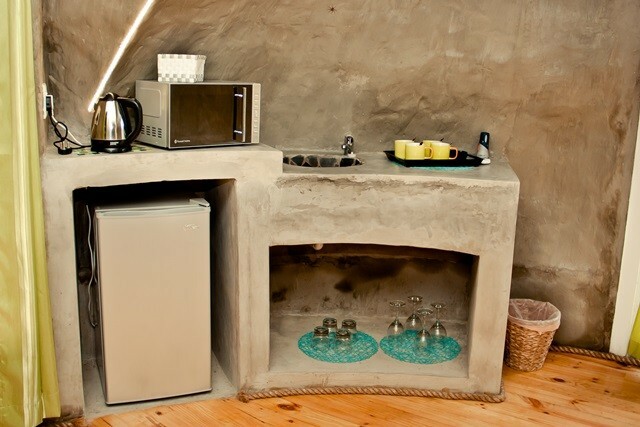 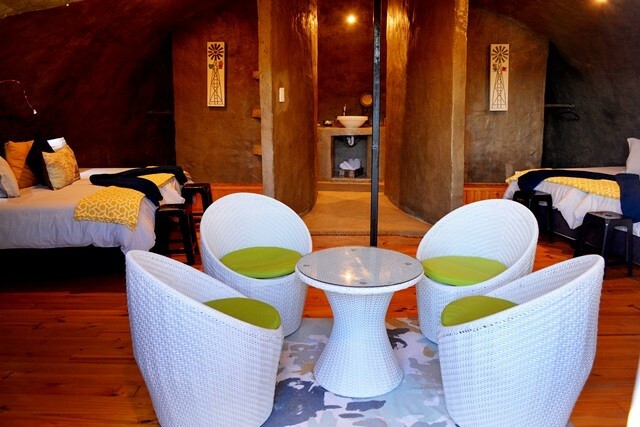 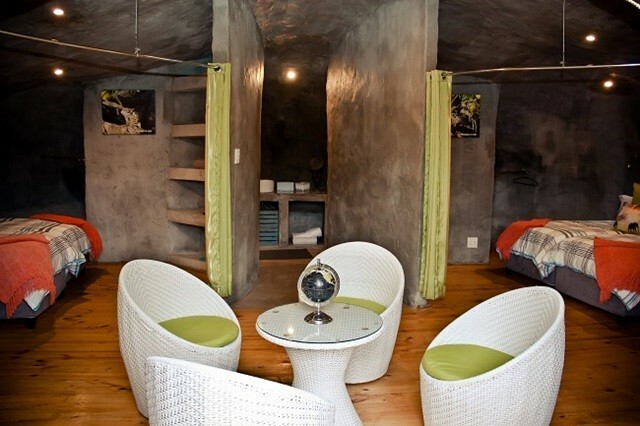 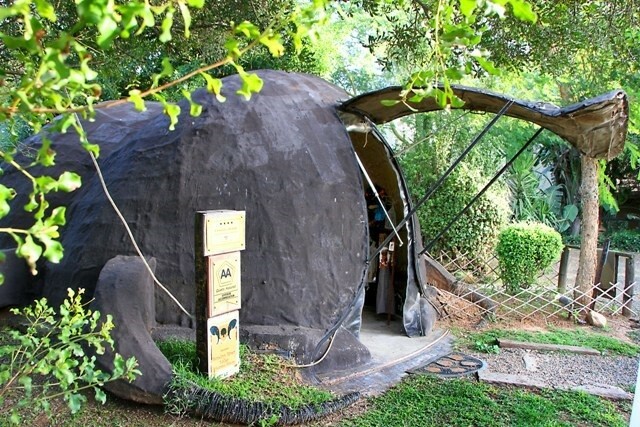 The only, true dung beetle inspired accommodation in South Africa! 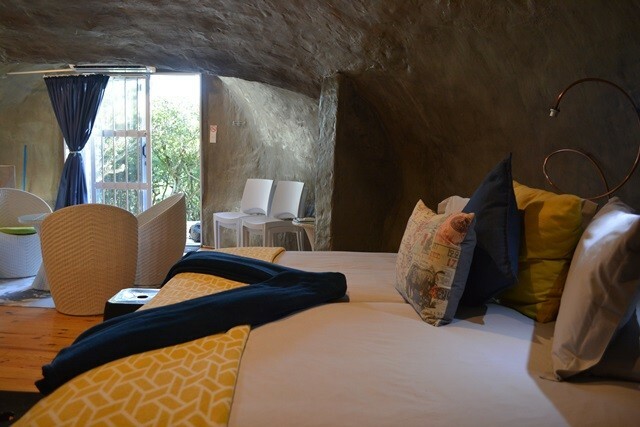 The Dung Beetle suites are situated in the succulent valley bushveld vegetation with no view as dung beetle are always hidden, thus leading to a beautiful tranquil surprise in the bush. 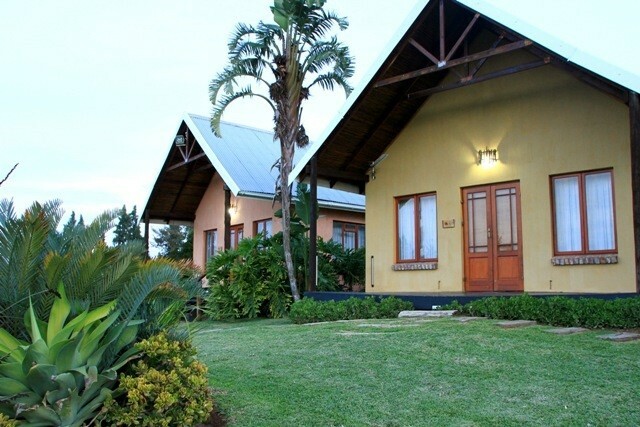 Walking distance from the main lodge and parking area. 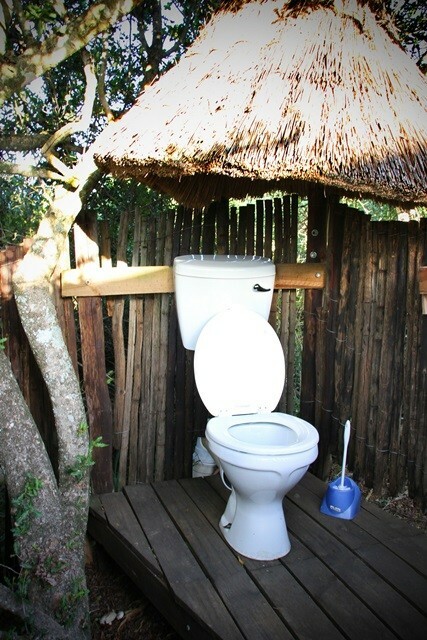 Not really suitable for those with walking difficulties. 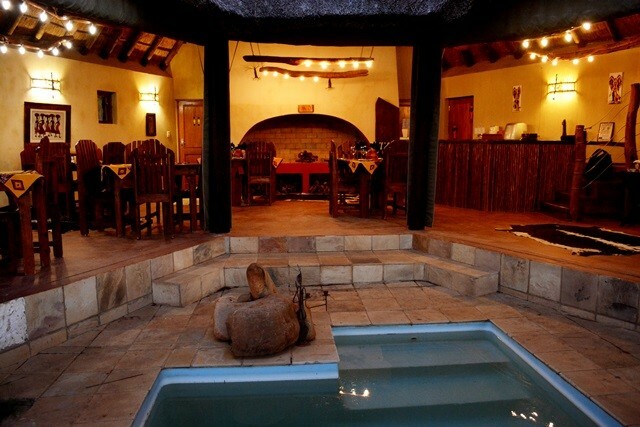 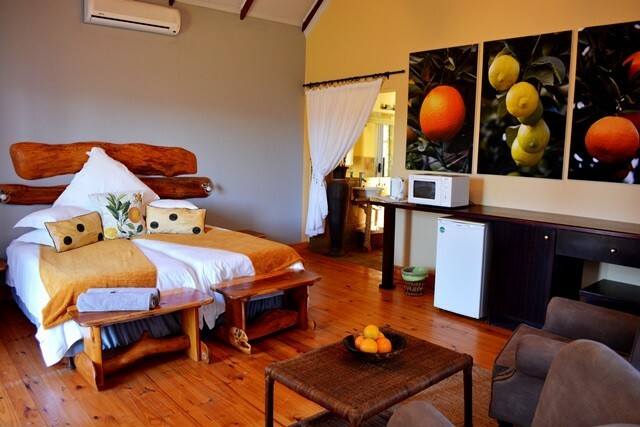 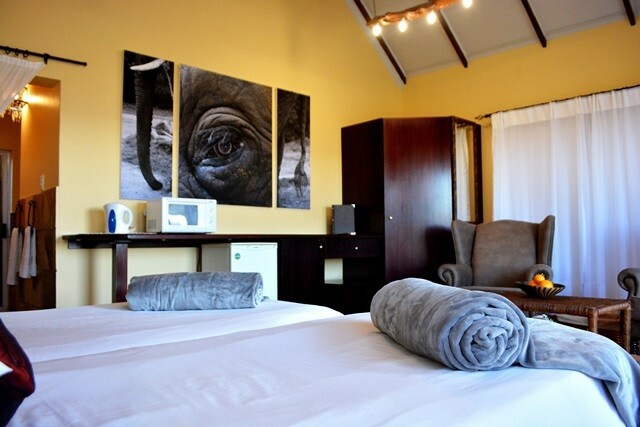 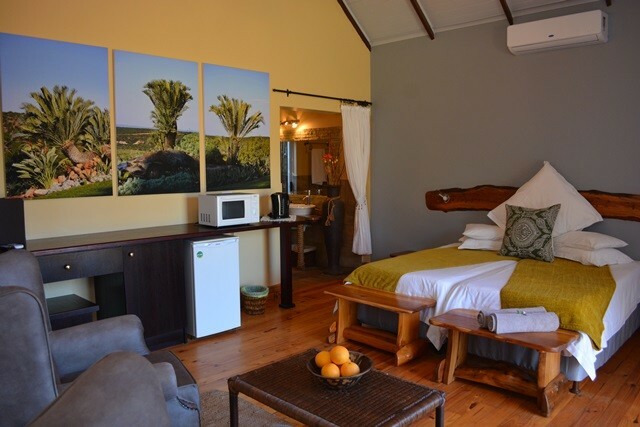 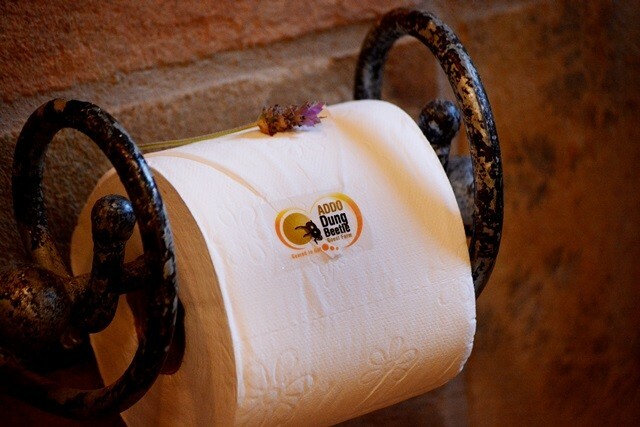 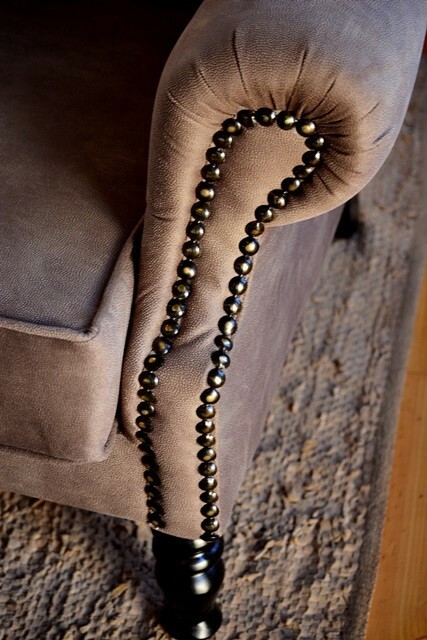 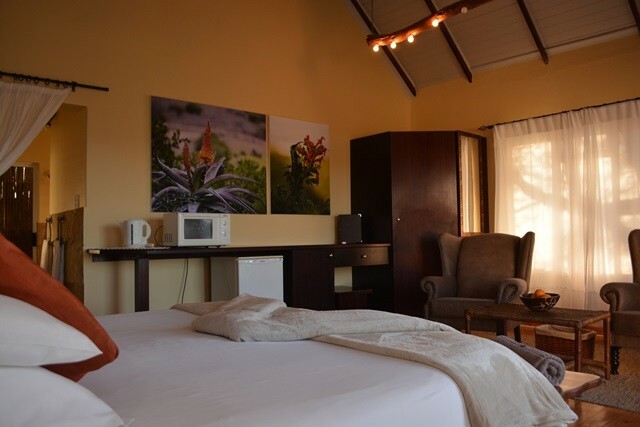 Guests may make use of the other Addo Dung Beetle facilities at the main lodge area such as the swimming pool and more. 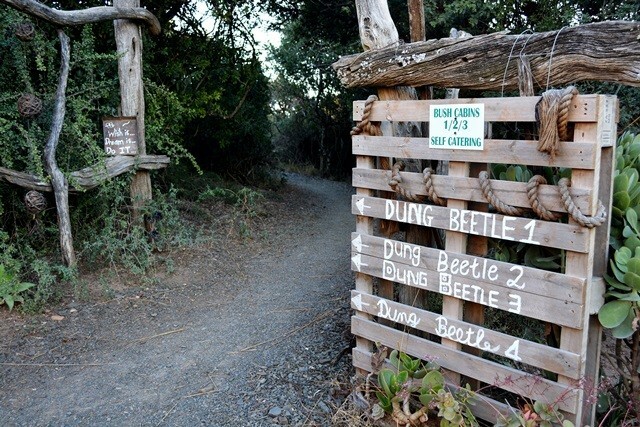 After 2.9 km the gateway to Addo Dung Beetle Guest Farm is on your left.